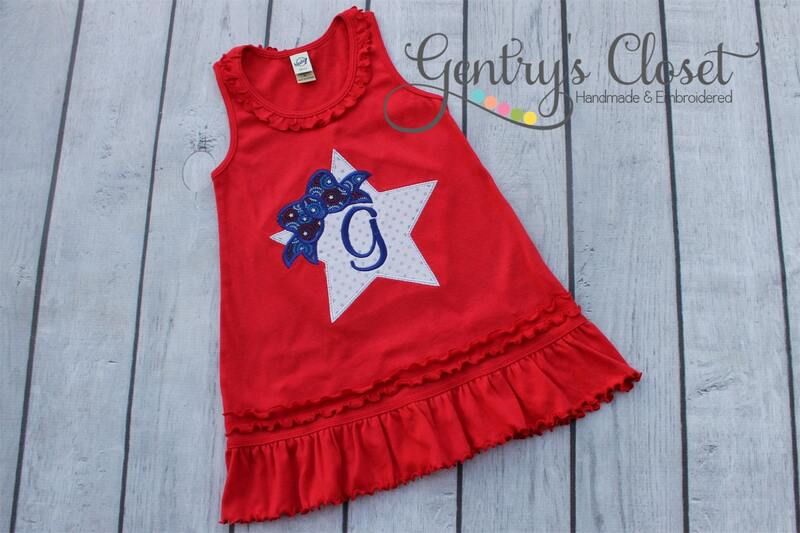 A patriotic red, ruffle dress with a large star, bow and single letter monogram! 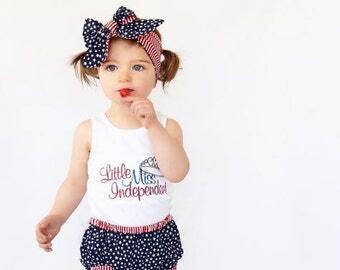 The perfect 4th of July outfit! 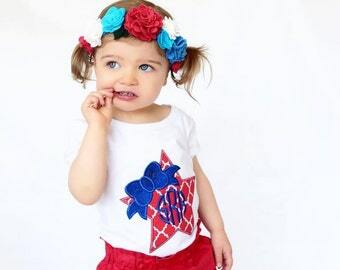 This darling applique design has a large white star with silver polka dots and an appliqued bow in a 4th of July fireworks pattern. *This listing is for the dress only. Matching red bodysuit is available to match in our shop!